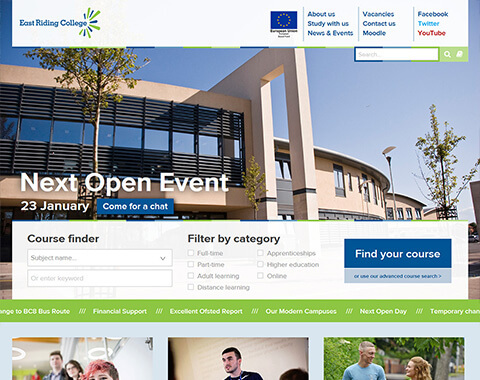 East Riding College required an all in one solution to manage their web presence across desktop, mobile and Facebook. 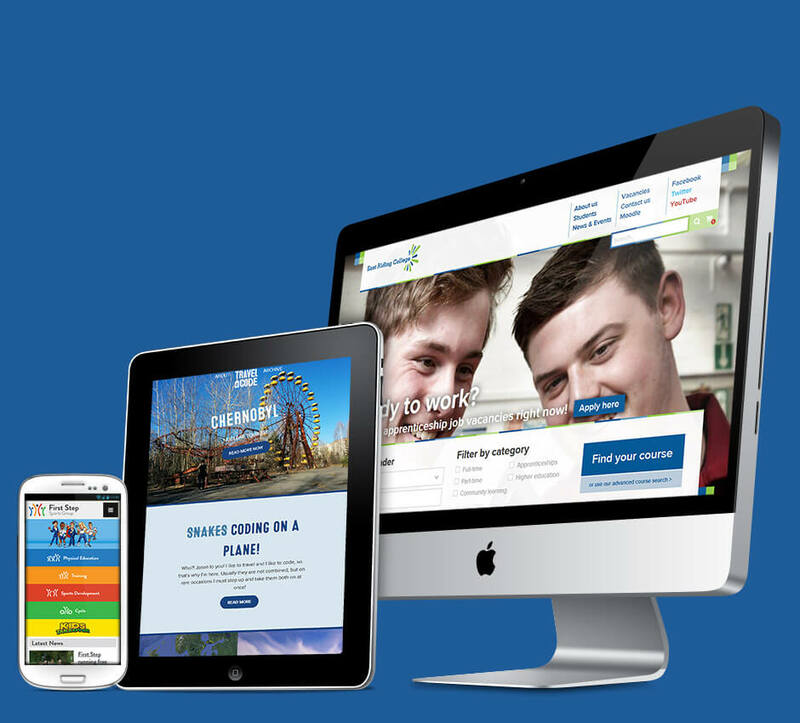 The solution features course searching, college information, news, vacancies and online application forms accessible across all platforms including Facebook which we believe to be a first for a UK college. 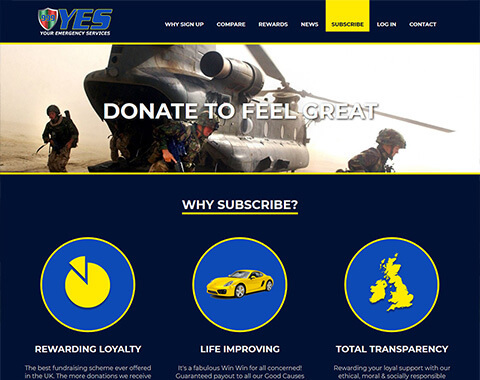 YES Society contacted me to create an integrated platform to manage and run their online charity raffle. Users can sign up using their phone, tablet or computer and subscribe using the UK Direct Debit system. To comply with strict gambling laws entrant’s identities are electronically checked via a third-party provider. 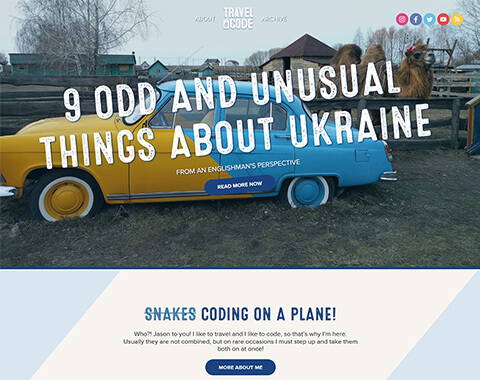 Travel & Code is my personal blog where I talk about two of my favourite things, travel & code, hence the name. The site is fully responsive and works on anything from your phone to your computer and is built upon the open source WordPress platform which resulted in quick development and an easy to use control panel. 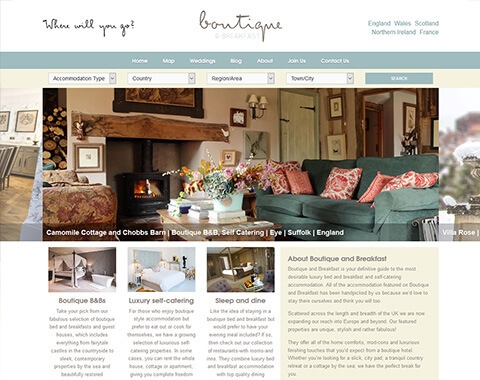 Boutique & Breakfast is a web site featuring handpicked listings of bed & breakfasts around the UK. The site is built upon the WordPress content management system featuring custom post types to provide the listings functionality. 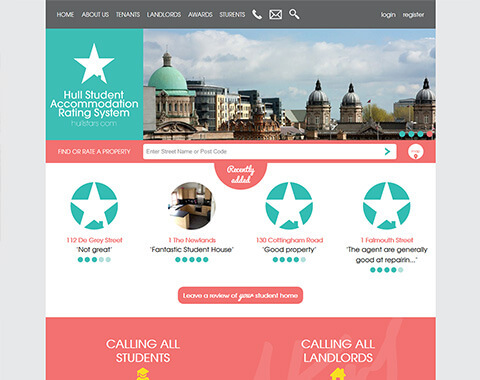 Hull Stars is the tripadvisor of student accommodation in the city of Hull allowing student to review their houses and landlords. The site has been custom built upon the CodeIgniter web framework and is regularly updated with new features and enhancements. 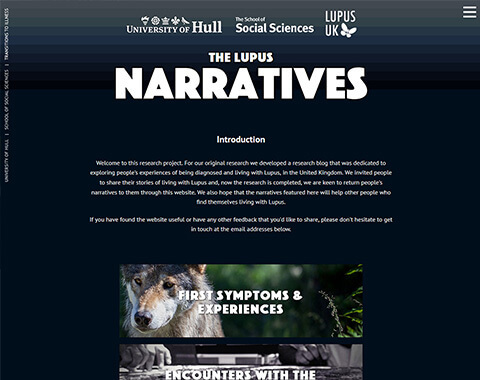 The School of Social Sciences in the University of Hull commissioned me to build a web site to show the results of a research project about people's experiences living with Lupus in the United Kingdom. The site was built on the WordPress platform utilising a bespoke theme and custom functionality to enable the results to be shown in a simple and meaningful format. 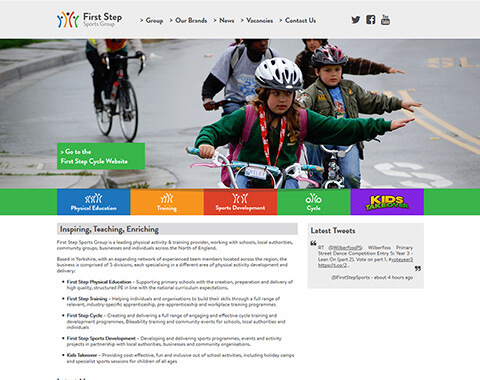 First Step Sports recently updated their brand and divided their business into five distinct areas. They required an easy to use solution to manage their five sub brand sites and group site within one control panel, therefore it was decided to build the project as a set of responsive WordPress sites taking advantage of the built in WordPress multisite functionality. 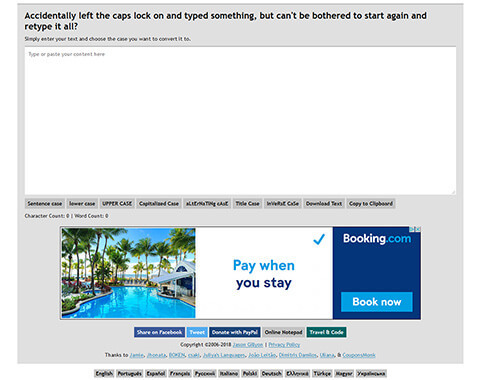 Users can view information about the company and even book and pay for events online. Coordinate provide an easy to use SAAS solution for sports providers to manage their staff and resources. The system is built as a multi-tenant system where multiple companies are hosted within the same system in order to provide efficiencies and enable quick updates to add new features and keep up to date with the latest technologies. Humber Learning Consortium (HLC) acts as management and quality hub for learning and skills providers across the Humber and Yorkshire. HLC required a custom CMS with the ability to create micro sites for themselves and partners to learn, communicate and share resources. 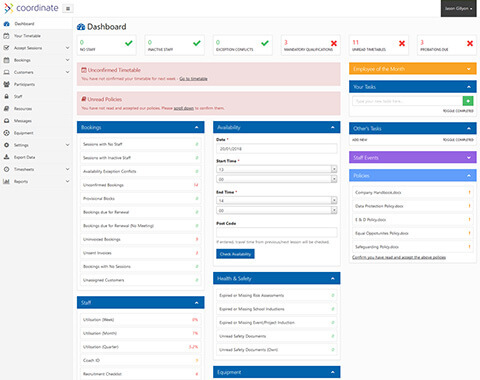 After several years with their existing solution, I created a new system from the ground up taking inspiration from the best parts of the old and adding new functionality to enhance the usability and effectiveness of their offering. Convert Case is a popular utility to easily convert text between cases, for example UPPER and lower case. Visual Republic was a conglomerate of freelance designers, developers, project managers and marketing experts based in the UK. 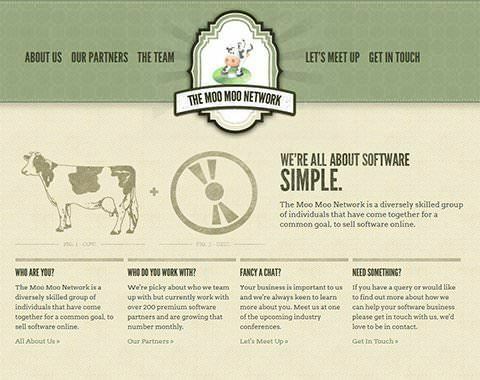 The Moo Moo Network is a diversely skilled group of individuals that have come together for a common goal, to sell software online. 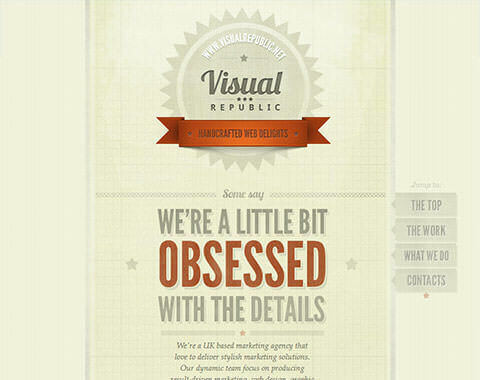 Visual Republic were contacted to design the site after being spotted on as showcase site. I took the design that was created and turned it into a working web site.